General info & How to reach us? The Museum of the Jewish Soldier in World War II is located at "Yad La Shyrion" (The Armored Corps) Site in Latrun, half way between Tel Aviv and Jerusalem. The museum is currently under construction. Temporary exhibition of "the Jewish Soldier in World War II" is open to the public in "Yad LaShiryon" at Latrun - the police building. 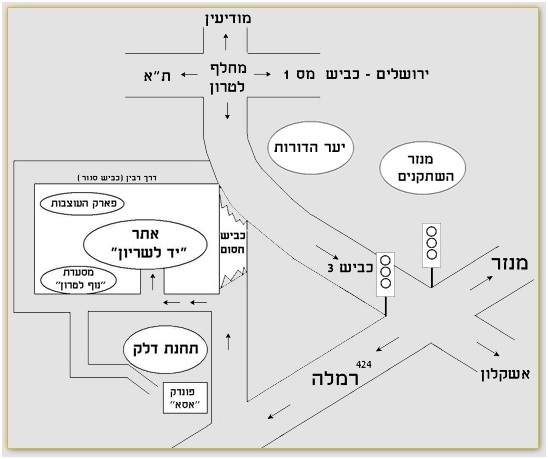 Temporary Exhibition’s hours are according to the opening times and entrance cost of the "Yad LaShiryon" site. * Members of the Armor Association: Holders of a membership card and members of the family from the first degree. The rest of the accompanying "group"